It must be almost 30 years ago when I first watched the film ‘The God’s must be crazy’ – a comedy about a bushman, unaware of white culture, who finds a Coca-Cola bottle in the Kalahari Desert (dropped from ‘a big noisy bird that doesn’t flap its wings’)) and promptly has his life turned around by this mystical object. I remember thinking that it would be fascinating to actually meet Bushmen (now commonly referred to as San people, or Basarwa in Botswana) who are known for their hunter-gatherer lifestyle and their language, which seems to be made up of clicking sounds. I was very excited when I had the opportunity to participate in an outreach trip, traveling for 1,000 km along the Trans Kalahari Highway on our way to the northwest of Botswana. I imagined that we would be traveling through the desert that was depicted in the movie with wildlife all around, but it was not nearly as mysterious as that. The road was extremely monotonous, with nothing but road, trees and lots of donkeys and goats. Unfortunately, most of the San people have been re-located to desolate areas of Botswana, and their hunting has been restricted, and so they share the plight of many minority groups throughout the world. 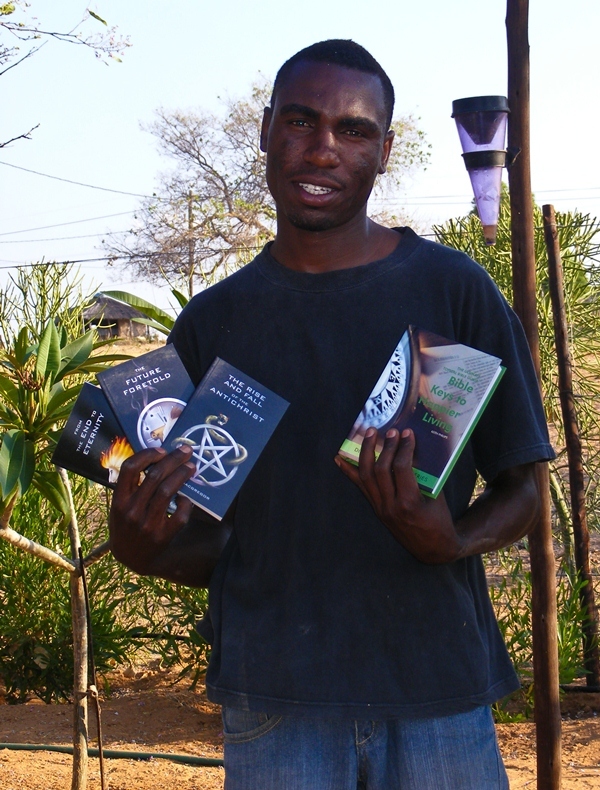 Along with lots of Bibles and the film equipment to show the file Jesus in the villages, we had a few boxes of books sponsored by Activated Ministries. 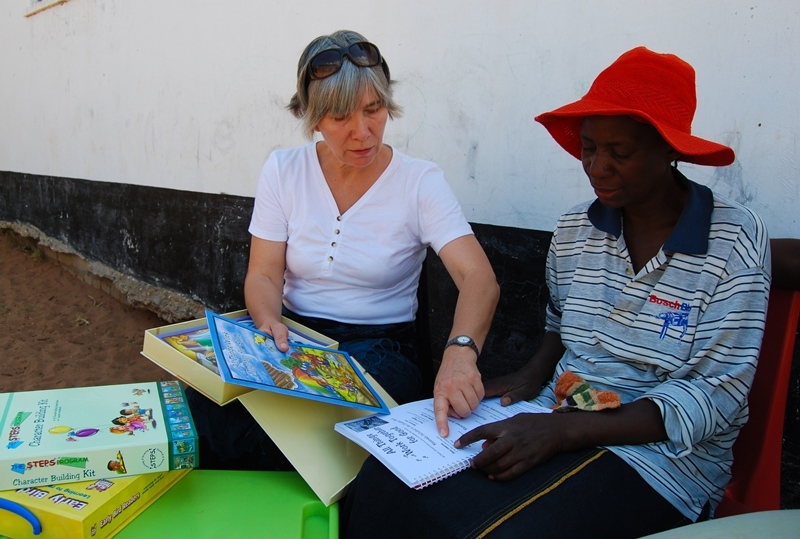 I feel privileged that Activated Ministries is assisting me with these priceless materials and thereby helps me to be able to spread God’s Word in rural areas. For the duration of our trip we based out of Sepopa with some wonderful people, Dr. Leon Zeilinga and his wife Annetjie, missionaries from South Africa who sacrifice a lot to minister to the people in this area. It was very beneficial for us that they shared their counsel, insights and experiences of their years of service, which made it easier for us to relate to the diverse cultures in this part of Botswana. 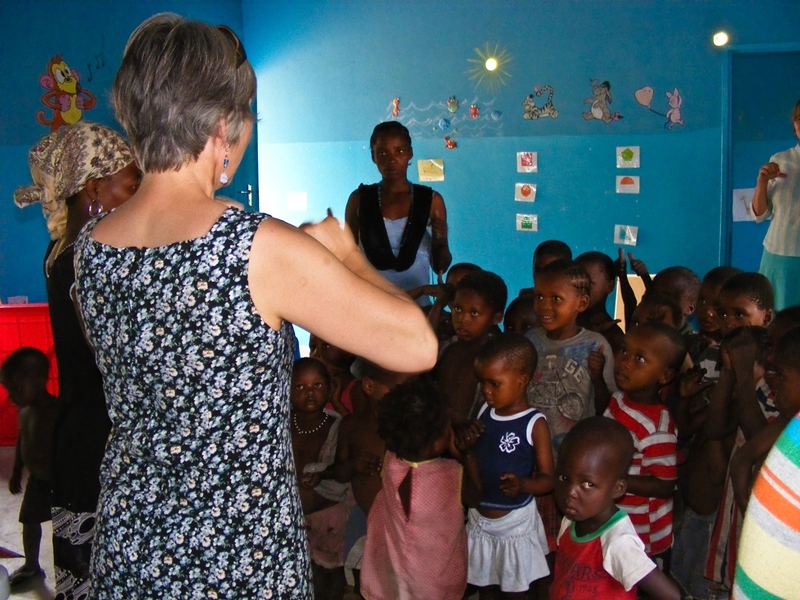 Annetjie ministers to children, women and teachers in five villages. The need is much, much greater, but that is all that she humanly is able to give her attention to, aside from her duties as a pastor. She visits each of the villages once a week, teaches the children from the Bible, and then teaches the caregivers as well. Social service provision is minimal to non-existent in what is referred to as “remote area settlements”, and Annetjie uses her training to educate people in needlework, basic hygiene, Bible knowledge, and teaching children. She is an amazing example of someone laying down her life for Christ’s sake. It was like Christmas for her when we gave her a box of the sponsored books. Having a ready-made curriculum, poster sets, a sight-reading program and a variety of other books, music CDs and DVDs will be a big help in her ministry in the villages. Kajaja, a small village of the Mbukushu tribe, is the first place where we showed the follow-up film to the Jesus Film Walking with Jesus and prayed with and for many people. Through the help of some friends we were able to take with us a wooden jungle gym which will soon be used by 30 to 40 children in this village. Shaikarawa is a small village that can only be reached by 4x4 on sandy roads. The villagers are San people, and speak Afrikaans as well as their clicking dialect. Being a minority group, many of the San people have been re-located from the Kalahari Desert where they had lived as hunter-gatherers for centuries and face challenges that are unique to them. There is no work and no water for growing food, which results in many men leaving to find work elsewhere, which compounds the spread of HIV/AIDS and leaves 60 % of households headed by women. We got to spend the afternoon with the kids of a small nursery school, telling stories, singing songs, playing games and doing an art project, using the STEPS Program, kindly sponsored by Activated Ministries. I am not sure who enjoyed it more; me or them! Such beautiful kids! At dusk we set up to show the film on the big the screen. 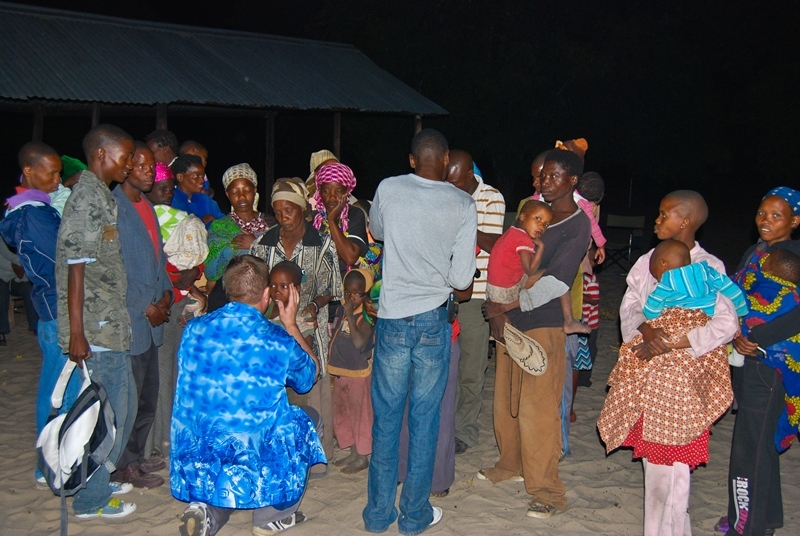 While it was getting dark we played music clips with African Gospel music, using it as the ‘bush drums’ to ’call’ as many people as possible. Many, many people were prayed over, and one wonderful thing that happened is that the village chief gave his heart to the Lord! Here again we showed the film Walking with Jesus, with the assistant pastor translating for us. This is a bigger village so we had a large audience. 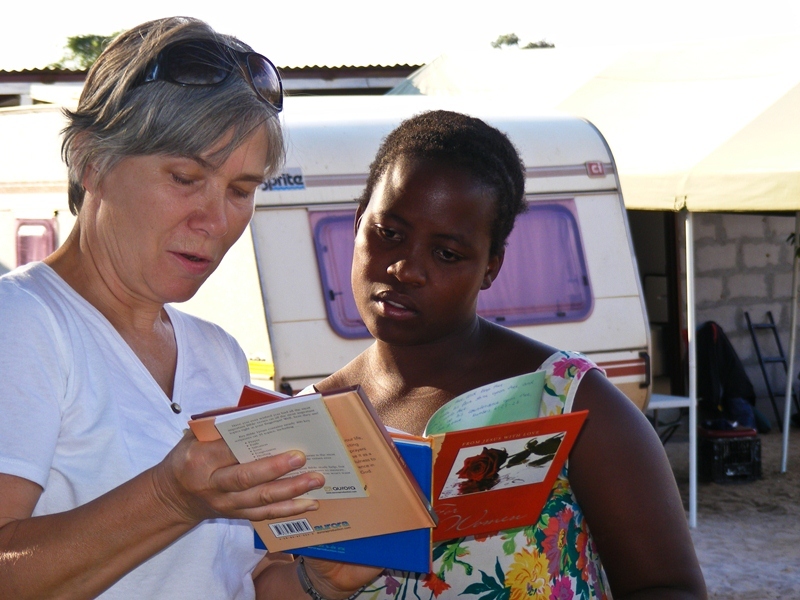 And as with other mission trips, Activated Ministries sponsored sets of Christian teaching aids as well as inspirational books. 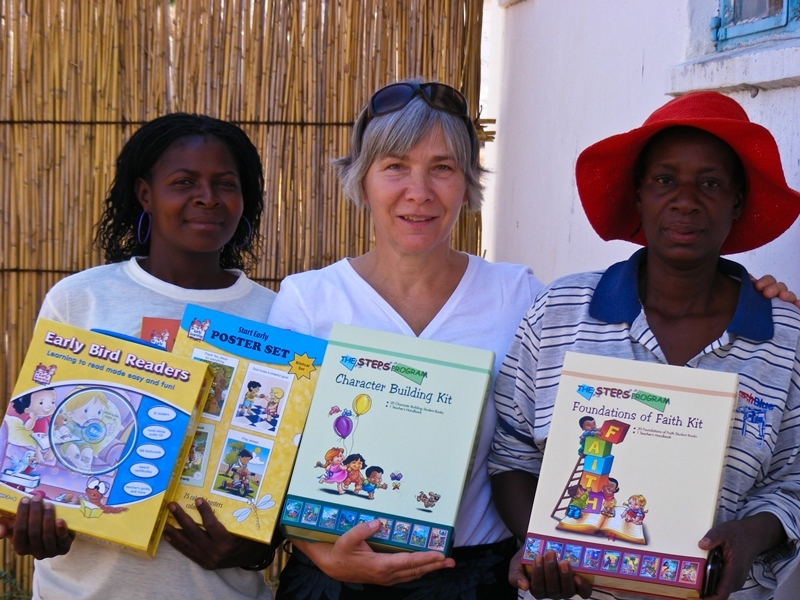 We donated a box of children’s material to the Sepupa Nursery School. Monica, the headmistress of the school, told us that in this remote part of Botswana there is nothing in the form of teaching aids or training for teachers available, and she appreciated very much the books we left with her and the time we took to explain the material to her as well as give a hands-on demonstration on how to use it with the children. We met many wonderful people, many of them new believers, who are eager to learn more about God’s Word. The books they received are like treasures to them. Thank you so much to Activated Ministries for your generous donation. 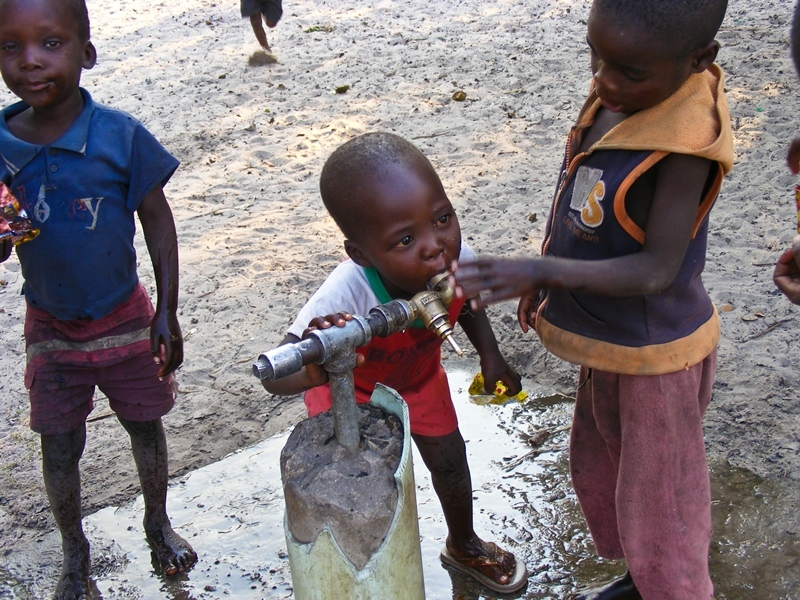 The outreach trip wouldn’t be the same without your contribution!